The charterruns from August 13th to 20th 2017, Sunday to Sunday with seven nights aboard the boat. Travel is best via Manila, with typical schedules having us fly Manila-Guam on the Saturday night, arriving early morning Sunday and spending a day in Guam before flying on to Chuuk that evening to board the boat. Up to five dives a day, including night dives, are available Monday to Saturday, with Saturday afternoon or evening seeing a return to port. Divers disembark Sunday morning and generally fly late night to Guam to make their onward connections. The lagoon is sheltered and not prone to current. Water is extremely comfortable, 28c/82°F or above, and with very good visibility. The anchorages where most ships sank range from bottom depths as shallow as 15m, to a little over 60m. 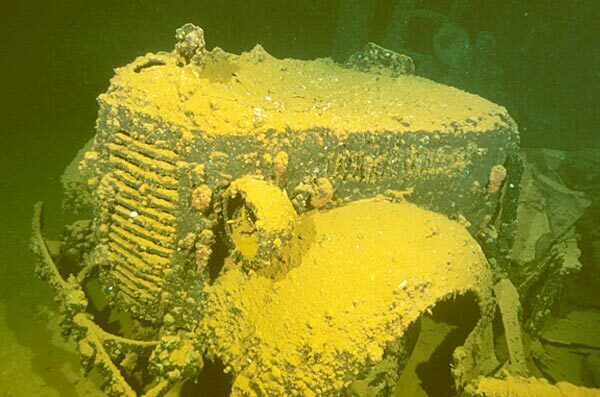 We focus the trips on the wrecks down to around 40m, with much of the diving in the 25-30m range. For people diving double tanks that lets you get up to four long bottom time dives, with very little decompression, done every day. With so much to explore on, and inside big shallow wrecks sunk here, there’s no reason to be deeper. This makes for fantastic diving in the recreational realm too. 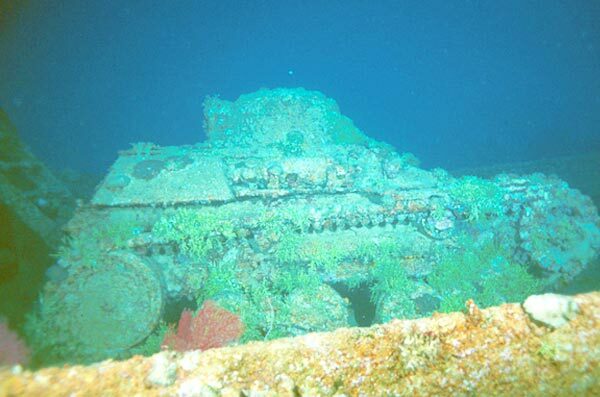 The wrecks range from Japanese destroyers and aircraft, to a Fleet Submarine, to a number of very large tankers and supply ships. Most of these were still loaded with fascinating arrays of war time supplies when sunk. Famous are such as the Fujikawa Maru, or Shinkoku Maru, both upright with easy access to large engine rooms, cargo holds bearing Zero fighter aircraft and identifiable rooms like the Shinkoku sick bay where medicine bottles and operating tables are still seen. Dusk dives on Shinkoku have in the past been as alive with activity as the best of dives in Puerto Galera’s Canyons. 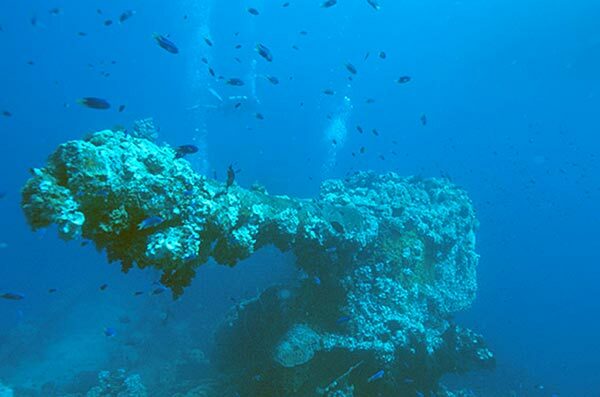 Other ‘must see’ wrecks would include the huge Heian Maru, Yamagiri Maru, Nippo Maru and Rio de Janeiro Maru, bearing cargoes as diverse as Long Lance torpedoes, 14” shells destined for Japanese battleships, deck cargoes of Japanese tanks, coastal defense guns and…hundreds of beer and saki bottles. With these dives being in the 30m +/- depth range the possibilities for penetration using double tanks are endless. Besides the above and many more significant dive sites in recreational depths, the ships sunk in the Fourth Fleet anchorage west of Dublon Island lie in much deeper water. 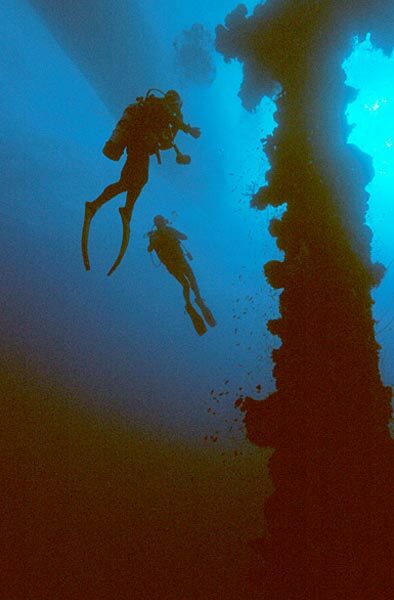 Ships such as San Francisco Maru and Aikoku Maru are excellent dives though deeper than 50m. Helium is now available on request and while Odyssey can visit those sites our previous experiences have shown that maximizing your diving is best done by exploring the shallower shipwrecks. 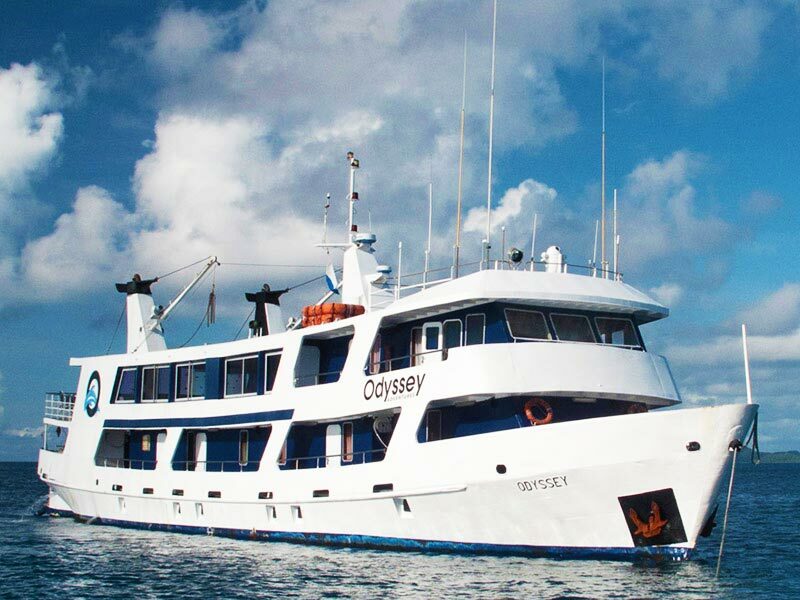 We will be diving from the mothership Odyssey, whose crew will conduct an overview and briefing at each dive site, and then allow divers to dive guided by them, or chose their own buddies or groups and dive their own plans. Scheduling is determined by the individual divers so it is very easy to avoid all being in the water at once and crowding the wreck. Nitrox is provided free to those certified to use it. 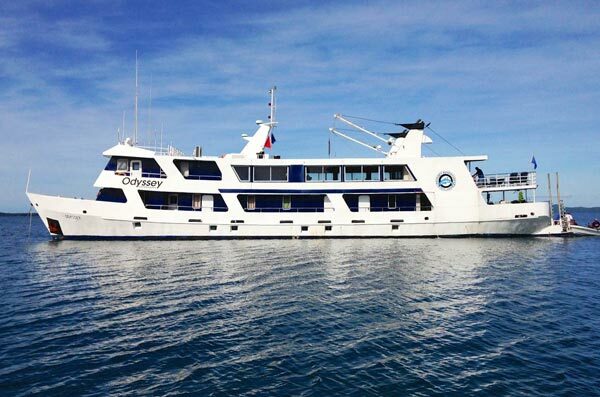 The 132ft/40m vessel Odyssey, which will be fresh from a full refit in 2014, comfortably accommodates 16 guests in nine luxury staterooms. Air conditioned and with private en suite bathrooms. A spacious Lounge with a library and movies, Galley and Sun Deck areas allow you to relax between dives. The dive platform at the stern makes entries and exits easy, individual dive lockers are provided, camera tables set up, and photo/video professionals are on board. Diving is with your choice of single tanks ( nitrox included ), or if qualified to use them, aluminium doubles with decompression tanks available. The 2015 charter rate is US$3,195.00 plus 5% sales tax and a $30 Chuuk Permit to be prepaid to us. Total US$3,404.75 This rate covers diving including tanks and weights, accommodation, meals, drinks including beer and wine, and airport transfers on arrival and departure. Standard nitrox mixes are provided free. Not included in the charter fee are non standard nitrox mixes for decompression which are US$2.00/cubic foot, and crew gratuities. Required deposit is US$1,000.00 with the balance of the trip cost being payable at least six months before departure. Please contact dave@techasia.ph for payment details.